As hospitals strive to deliver better care and control costs, they’re facing far more than just increasing volumes of patient data. The very nature of the patient relationship, reimbursement and the use of healthcare data is undergoing fundamental change. 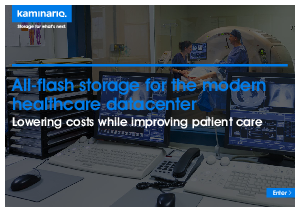 These changes are driving the evolution of the modern healthcare datacenter.